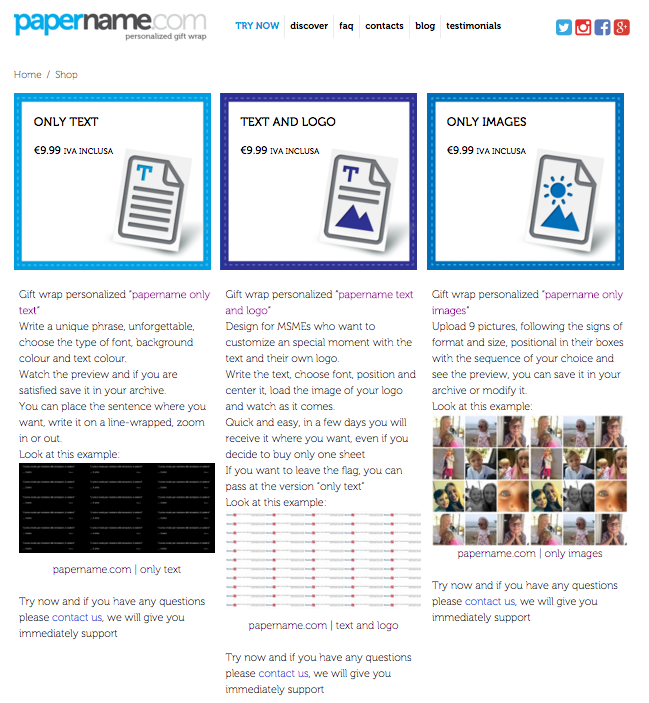 With papername.com you can create your own personalized gift wrap online. Are you looking for a unique gift? It’s often in the details. 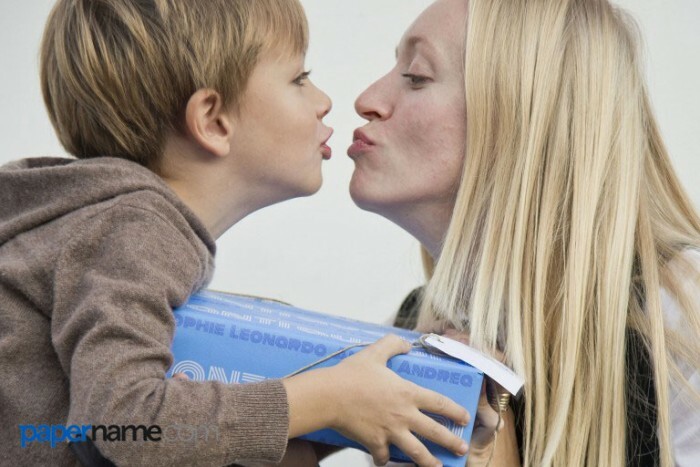 With online personalized gift wrap, you can package your gift in a personal and exclusive way. Personalized gift wrap makes an unconventional and creative gift, which is custom made for the recipient. The person who receives this will surely be surprised and appreciative! The personalized wrapping paper will be delivered to your home. What will you take home? Each sheet that would like to receive measures 39,37 x 27,55 inches. Your order will be delivered in a cardboard tube and the sheets you will find them wrapped in a tissue paper. Our paper is high quality. We do not use solvent inks but water and synthetic latex thanks to proprietary technology named “HP Latex”. It has excellent grip and is very durable. It’s a matte coated paper and has a basis weight of 80 grams per square meter (g/m²). Our paper is more elegant and original than regular glossy coated paper. Our customers are very satisfied! Step by step, now we indicate you how to best customize your own gift wrap with papername.com. Here are some examples! Do you want to wish happy birthday to your best friend, write a dedication to your love, a cute phrase for a special occasion, or just… put down a thought from your mind? Our advice is the template “papername text only” , suitable for those who prefer “to spread their feelings with words”. Look at that beautiful wrapping paper you can do with this template! 1) From the home page click on “TRY NOW” . Once you have registered, in order to have a personal area, you will arrive on the templates page. 2) Click now on “TEXT ONLY” . 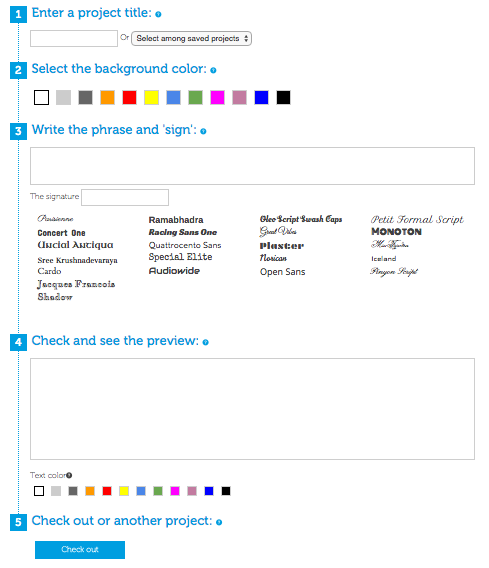 3) Below, we list all the steps you can do to personalize your wrapping paper “text only”. “Enter a project title” is the label that lets you associate your creation and retrieve it at a later time after clicking “Check out or other project”. Do you want to modify the project after creating it? You can simply select it from the projects saved in the dropdown menu of option “select among saved projects”. Here you choose the background color of your gift wrap. You can choose from 12 colors: white, light gray, dark gray, orange, red, yellow, light blue, green, pink, light brown, dark blue, black. In our example? We used the light blue. In the first field in the top, write the phrase you want and choose the most suitable character to the occasion. You have 22 fonts available: Parisienne, Ramabhadra, Oleo Script Swash Caps, Petit Formal Script, One Concert, One Racing Sans, Great Vibes, Monoton, Uncial Antiqua, Quattrocento Sans, Plaster, Miss Fajardose, Sree Krushnadevaraya, Special Elite, Norican , Iceland, Thistle, Audiowide, Open Sans, Pinyon Script, Jacques Francois and Shadow. After writing, and as soon as you choose the font, automatically the system will show you the result. You can insert your signature into the field below, to understand the author of the gift to the recipient. In our case, we wrote “Sophie, Leonardo, Alena, Andrea”. You can “sign” your wrapping paper with your name or in the most creative way or should you want. Very well! The longer you’ve already done! At this point you just have to go to step number 4. As you see, it would be better to center the signature under “Tanti Auguri” (phrase of our example, but you can write what’s on your mind! ), is not it? Now, you can change the color. Click on the phrase or signature to select the part you want modify and then click on the favorite color. For our wrapping paper we chose the white color for “Tanti Auguri” and the dark blue color for the signature. You can also choose to resize the fonts. It’s enough that you click on the phrase or signature, take one end of the bounding box and resize as you like. You have finished your creation! Just now click on “Check out”. In this way, you will save your project and you can watch a preview of the paper. 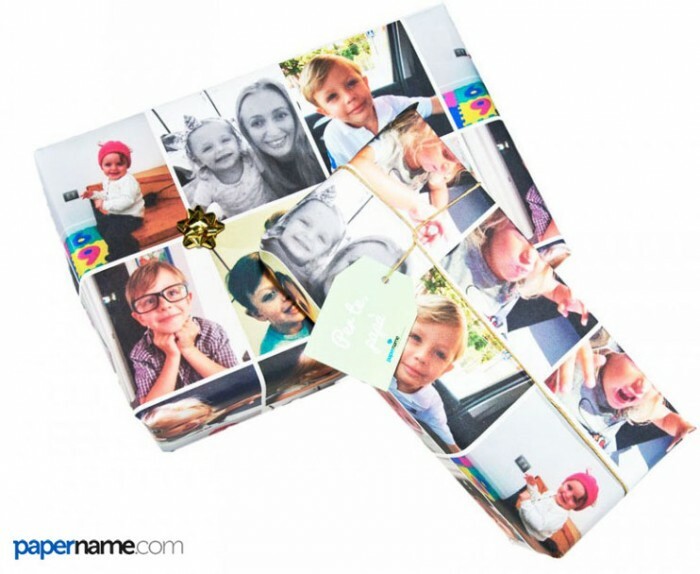 The template “only images“ allows you printing unique, recognizable and emotional images on the wrapping paper. It’s fantastic for sharing important moments or pictures of high emotional impact. 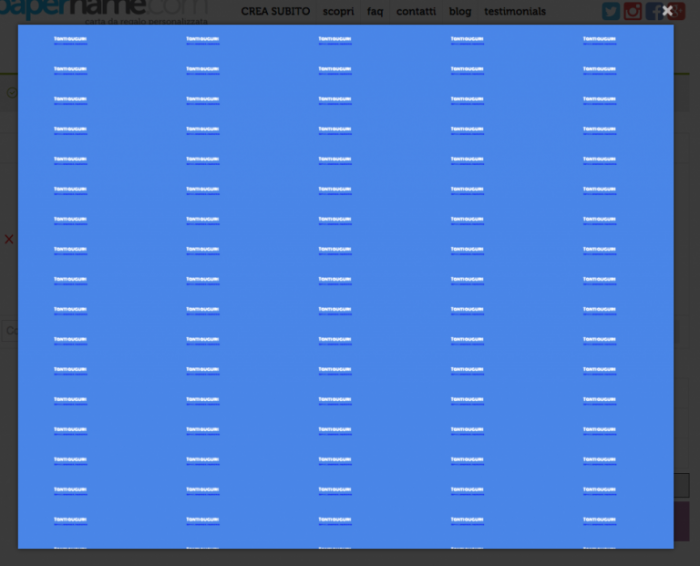 1) Let’s go to the template page. This field is common to all templates. We ask you to give a name, a “tag” to your project. This “label” will allow you to recover your creation when you want. 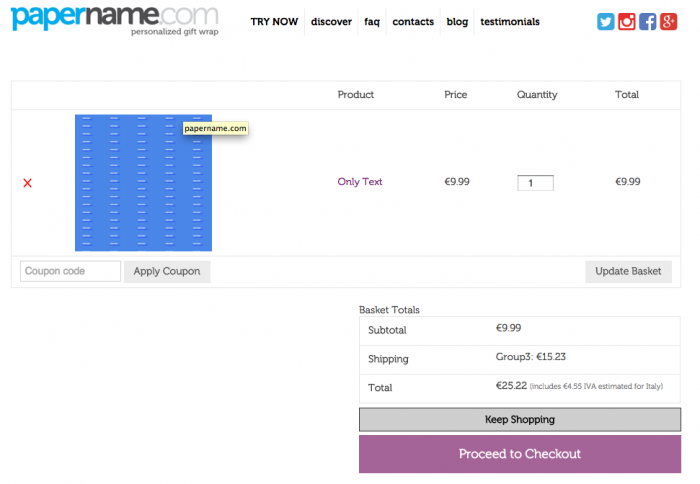 Once you have selected images you want to print, you need to load them on the website. Drag the rectangle the images you want to insert, or click on the rectangle and select image files from your device. Click on each box and upload your favourite images. 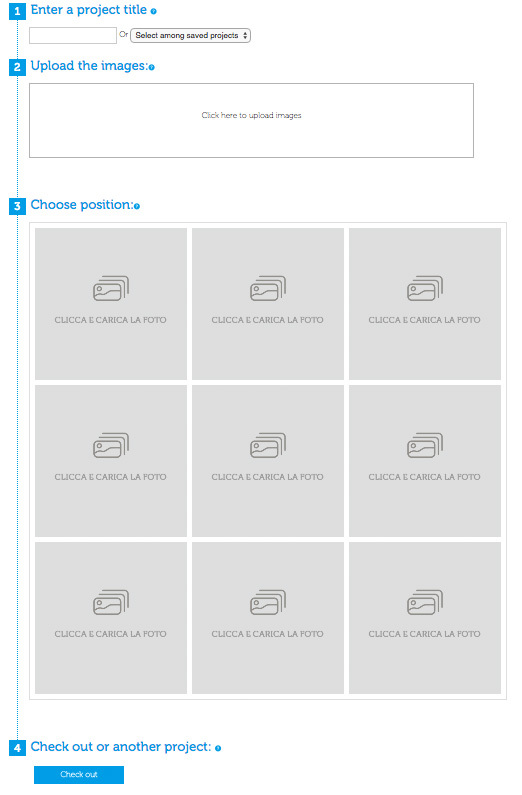 You have 9 boxes, so you can position images with the sequence of your choice. You’ve chosen the photos? Perfect, les jeux sont faits! Click now on “Check out” to save your creation and show a preview of the paper. Did you see? Very simple, isn’t it? Corporate or business gifts have always been a means to communicate attention and leave stunned the customer. They are able to give a positive and durable image of your brand. In addition, they’re very appreciated also from employees, of course. It’s a powerful marketing tool, ideal to convey easily the own company philosophy. It transmits to the recipients the idea of wanting to take care of them in every way. Through our e-commerce you can customize wrapping paper with the option “text and logo” . We go into details. Let’s go back to the template page. Click now on “TEXT AND LOGO”. In the field “Upload the logo image” we upload the logo of our brand. In our example, that’s the ParkinGO logo. 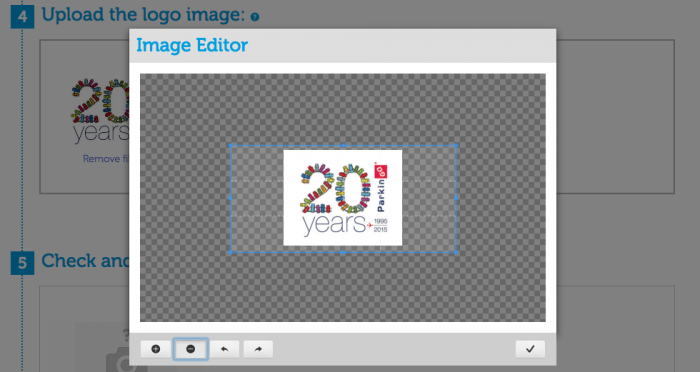 The editor allows us to modify the image. We can zoom in, make it smaller or move the image to see it displayed (and printed) in the best format. That’s all! It’s as simple as a piece of cake, isn’t true? A PERSONALIZED GIFT WRAP AS YOU WANT? What are you waiting for? Try Now and contact us if you have questions or suggestions to improve the service. Make unique your moments with papername.com.